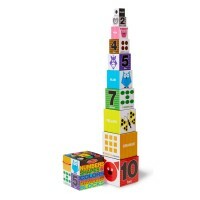 This garage toy set from Melissa & Doug combines the stacking blocks, nesting toys, play cubes, car pretend playset, and learning materials for tots at one box! 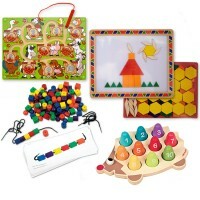 Kids love to play with the multi-purpose toys. 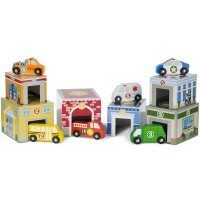 The new Nesting & Sorting Garage & Cars Learning Playset by Melissa & Doug is a great multi-purpose toy for toddlers. 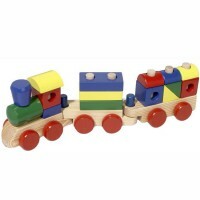 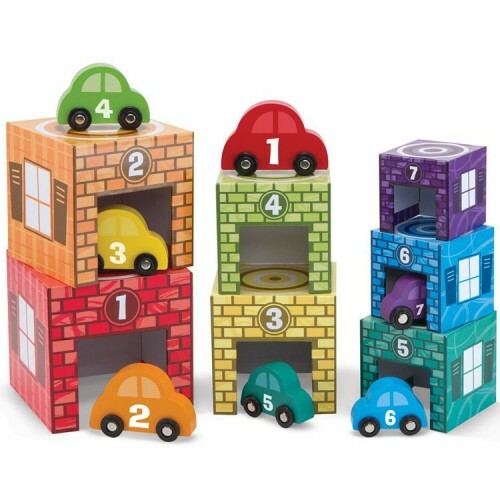 This manipulative activity toy comes with 7 numbered garages and 7 numbered wooden cars. 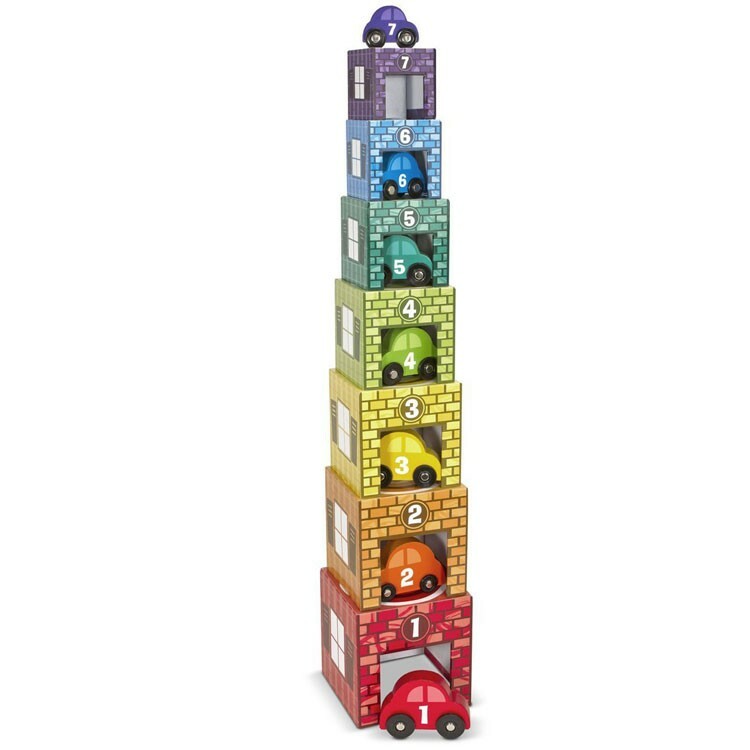 Match the cars to their garages by numbers, by colors, by size! 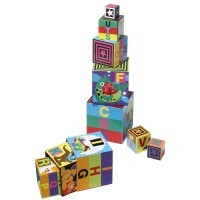 Stack the garage blocks to build a garage tower! 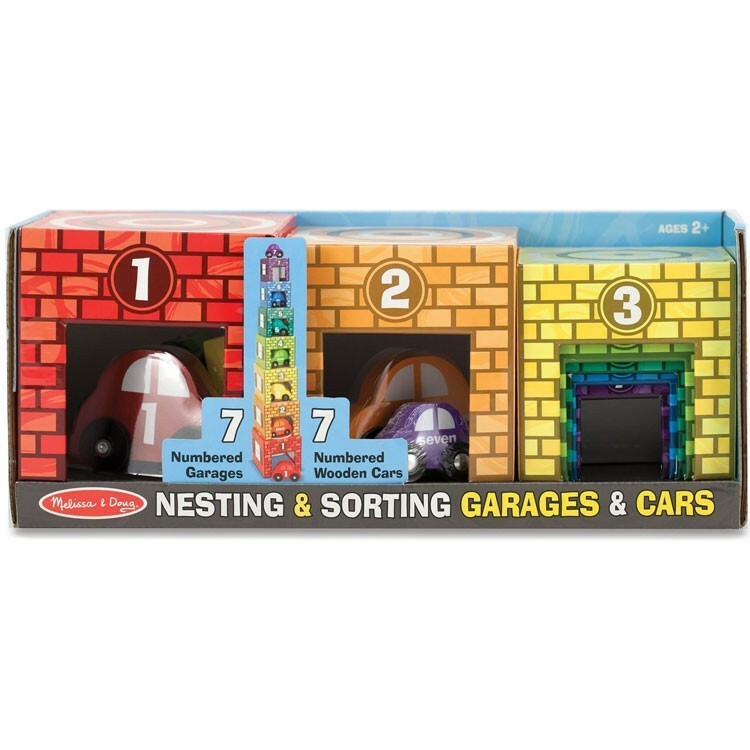 Nest the garages into each other! 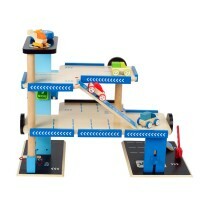 Play with the toy cars any way you like - possibilities to use this educational playset are endless. 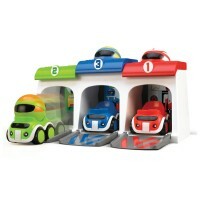 The Nesting & Sorting Garage & Cars Learning Play comes with the extension activities on the back panel of the packaging to assist parents of the young car lovers. 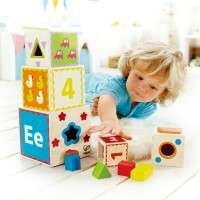 The garages are made of heavy-duty cardboard to last for years of smart play. 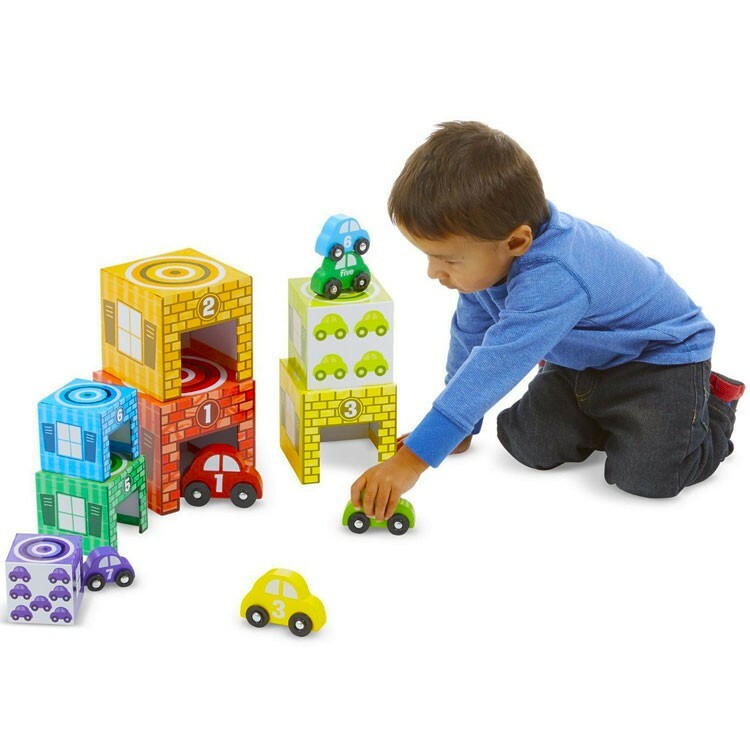 This garage toy set from Educational Toys Planet combines the idea of stacking blocks, play cubes, pretend playset, and learning materials for tots at one box! 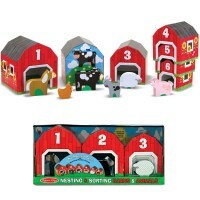 Dimensions of package 7" x 16" x 6"
Write your own review of Nesting & Sorting Garage & Cars Learning Playset.